The 2012 Festival opens with a headliner concert by El Movimiento (pictured) on Thursday, April 19 at 6 p.m. in Weigel Auditorium. Comprised of an all-star roster of Nashville’s leading jazz and world-music artists El Movimiento (or “ElMo” as the band is affectionately called) has in a few short years established itself as a sensation on the Music City’s jazz scene. The septet’s powerful and original sound and repertoire are the result of a unique partnership between a multi-cultural trio of accomplished instrumentalists and composers: saxophonist and Nashville native Rahsaan Barber, Dominican percussionist Giovanni Rodriguez, and Puerto Rican trumpeter Imer Santiago. El Movimiento has dedicated itself to two inspiring missions: to build on the heritage established by Tito Puente, Eddie Palmieri, Machito and other Latin jazz giants, and to incorporate into its sound contemporary influences like modern jazz, rock and other popular American styles. Advance ticket sales are available through the OSU Theatre Box Office at 614-292-2295. Tickets at the door (cash or checks only): $12 general public / $6 senior citizens and students with ID. On the same evening at 8 p.m., the Miguel Zenon Quartet is presented by the Wexner Center for the Arts in conjunction with the OSU Jazz Festival. Zenón has been honored with one of the MacArthur Foundation’s prestigious “genius awards” in recognition of his progressive jazz, which plumbs the depths of Latin music – particularly the roots of his own heritage in Puerto Rico – and of his own originality. Alma Adentro: The Puerto Rican Songbook, the 2011 release featured in the quartet’s concert here, was recently selected as #1 Best Jazz Album of 2011 by NPR, placed in New York Times critic Nate Chinen’s 2011 top ten list, and nominated for a Grammy. Previous outstanding recordings include Esta Plena (2009), in which “the instrumental prowess of Zenón’s playing, the vigor of his compositions, and the sensitivity of his band to Puerto Rican song forms point to new possibilities in jazz” (Chicago Tribune). Set up cabaret-style, the Wexner Center Performance Space offers a perfect setting for live jazz. You experience the music up close with superb sound and can sip wine, beer, or a soft drink as you enjoy the show. Advance ticket sales are available at www.wexarts.org or the Wexner Center Ticket Office at 614-292-3535. Prices are $15/Wexner Center members and students; $18/general public. The award-winning Ohio State Jazz Ensemble, the premier ensemble of the Jazz Studies area, will present a concert of many jazz styles on Friday, April 20 at 8 p.m. under the direction of Dr. Ted McDaniel. Featured in this concert are jazz soul vocalist Dr. E and a preview appearance by Derrick Gardner. Advance tickets are available through the OSU Theatre Box Office at 614-292-2295. Tickets at the door (cash or check only): $6/general public, $4/senior citizens and students with ID. Saturday, April 21 will feature a full day of Ohio State jazz bands and clinics running from 9 a.m. to noon in Weigel Auditorium. 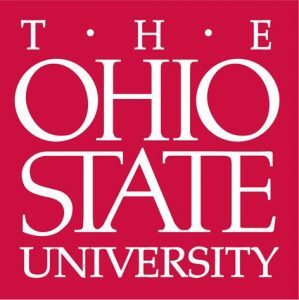 Performances include the OSU Jazz Workshop Ensemble, directed by Jim Masters; the OSU Jazz Lab Ensemble, directed by Kris Keith; various other OSU Jazz Combos playing New Orleans, swing, bebop, Latin, and fusion, coordinated by Shawn Wallace. The Saturday evening headliner concert will feature Derrick Gardner and the Jazz Prophets at 8 p.m. in Weigel Auditorium. Advance tickets are available through the OSU Theatre Box Office at 614-292-2295. Tickets at the door (cash or check only): $12/general public, $6/senior citizens and students. High School Jazz Bands Day concludes the festival on Sunday, April 22 in Weigel Auditorium. Adjudicated performances run from 9 a.m-4 p.m. (times approximate). The OSU Jazz Ensemble will perform a mini-concert at 4:15 p.m., followed by the awards presentations. All Sunday events are FREE!